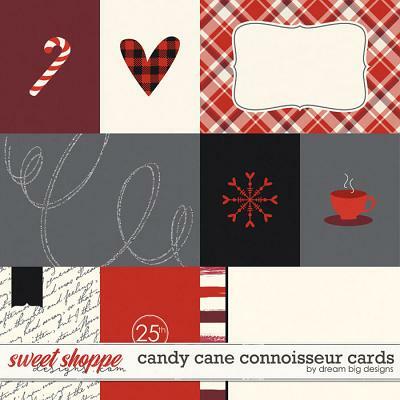 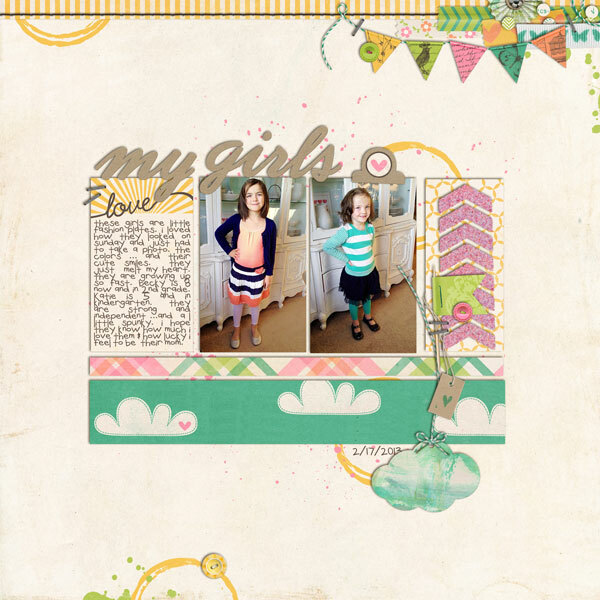 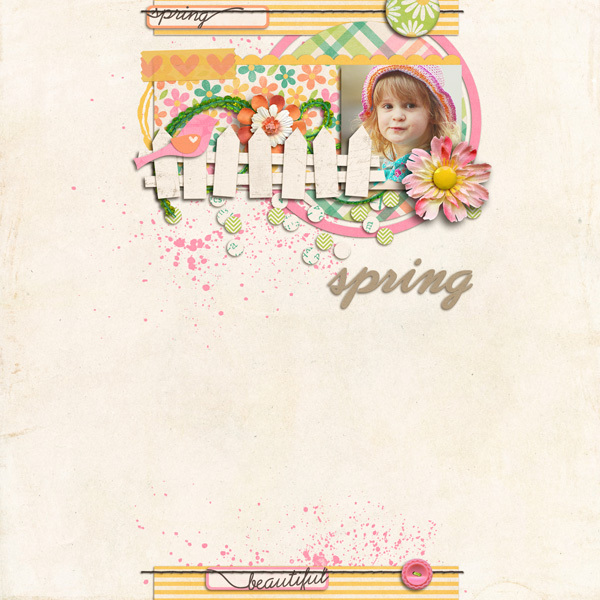 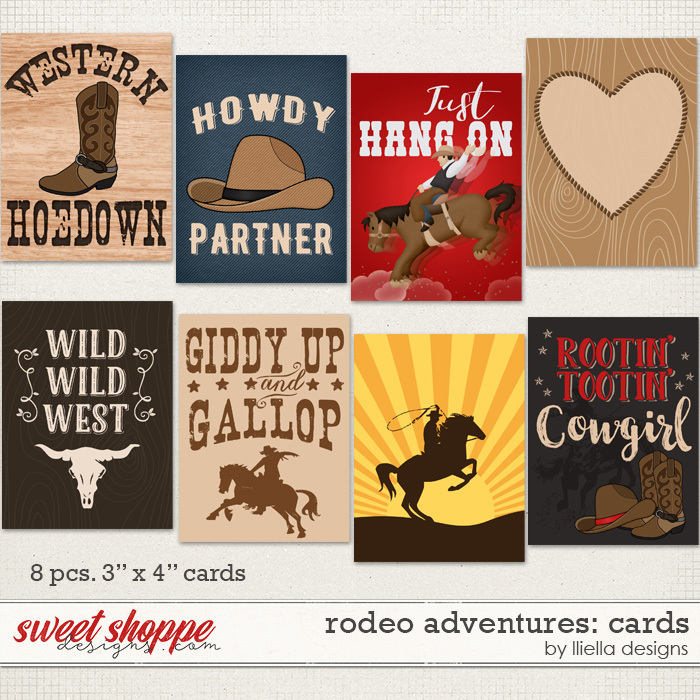 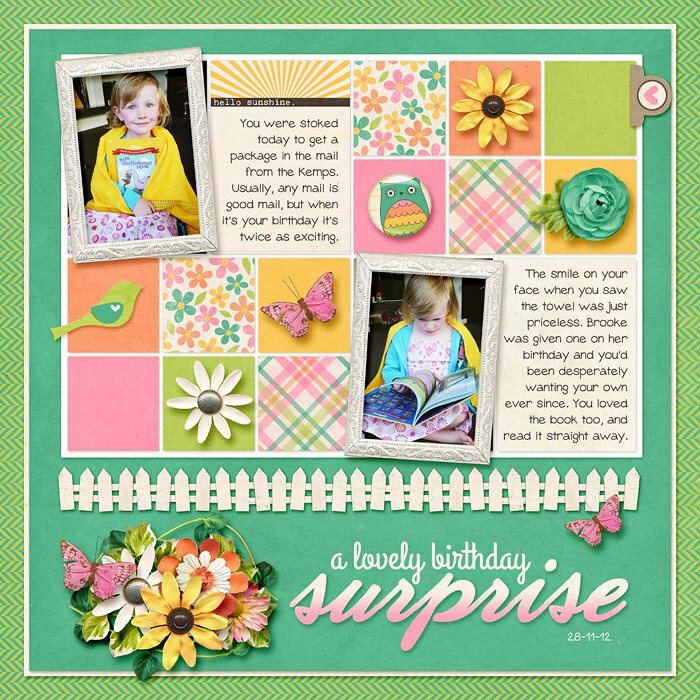 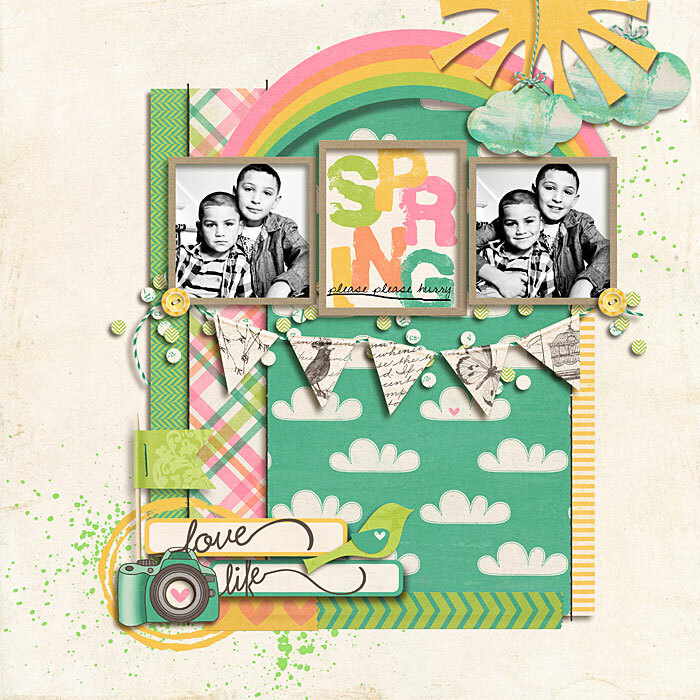 A digital scrapbooking kit by Erica Zane, Bring on Spring is a beautiful & warm kit perfect for all sorts of occasions! 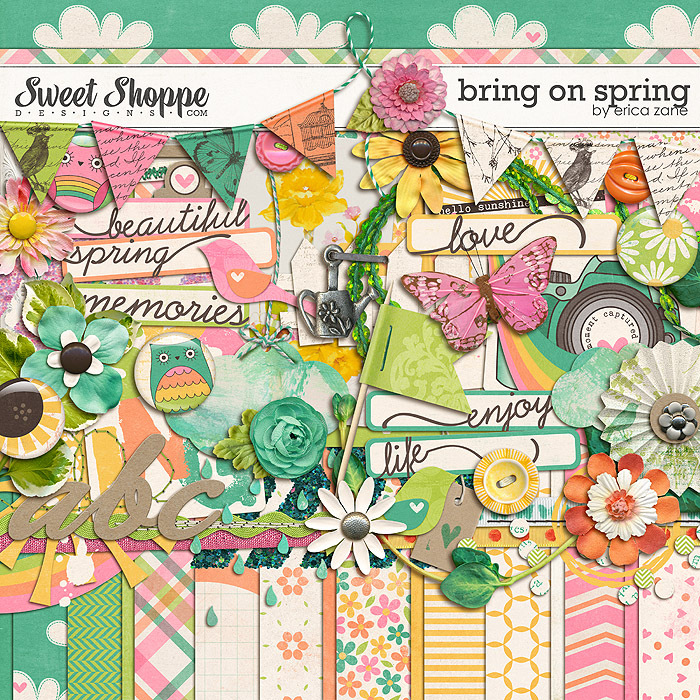 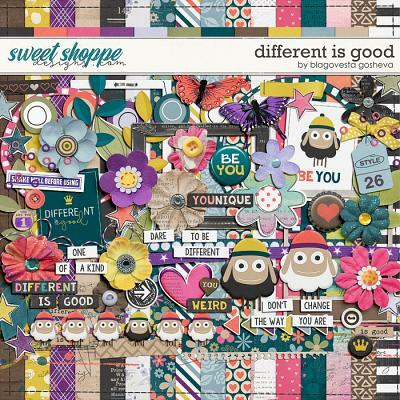 Packed with 16 digital scrapbook papers, more than 60 digital scrapbook elements and a digital scrapbook alphabet (saved as individual .png files), this kit will be fabulous for more than just spring pages! 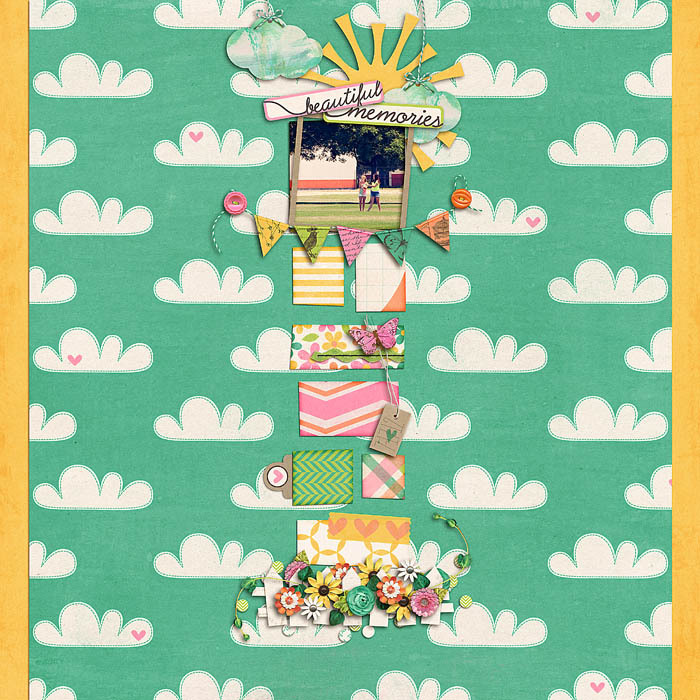 The elements include: 7 flowers, 6 pieces of word art, 5 cards/journal cards, 4 flair, 4 ribbons, 4 sets of stitches, 3 pieces of tape, 3 buttons, 3 frames, 3 paint spills, 2 rainbows, 2 chevrons, 2 clouds, 2 sets of leaves, fence, rosette, toothpick flag, banner (in 2 colors), butterfly, watering can charm, sun, rain drops, bird (2 colors), scatter, sequin string, tab, tag and a staple.